Picture Jasper in a fine pewter (no nickel or lead) bezel for a unique pair of earrings. One of a kind pair! 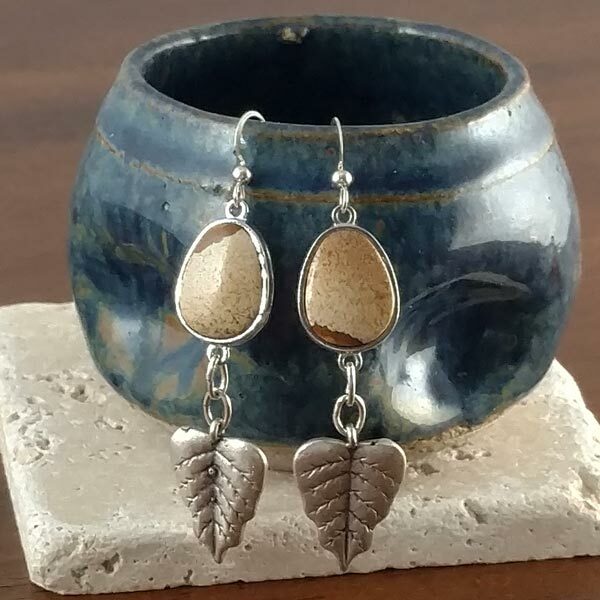 Sterling Silver leaves and French ear wires. Length 2-7/8", width 3/4", stone is 5/16" thick.